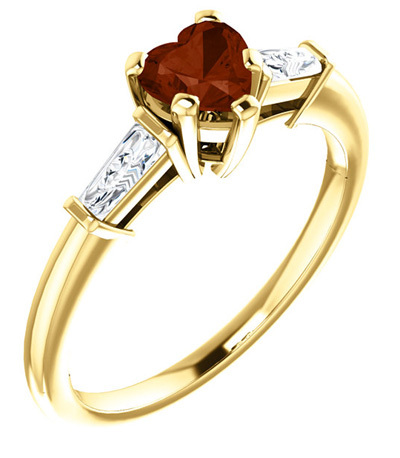 Genuine Heart-shaped garnet gemstone ring in 14k yellow gold set with baguette-cut cubic zirconia side stones. Available with genuine diamond baguette diamonds (by request). Also available in 14k white gold, rose gold, or sterling silver, shown below. 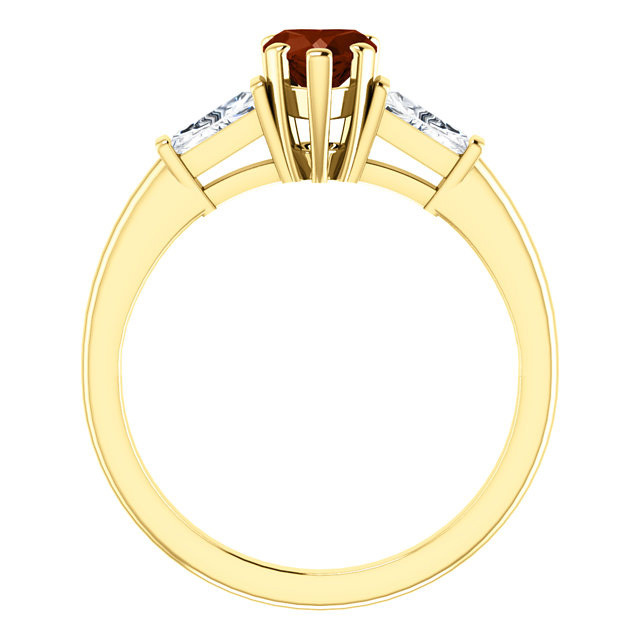 A uniquely-shaped garnet makes this ring an unmistakable symbol of your affection. This 5mm-high heart-shaped red gem forms an instantly recognizable picture of love, making this piece a great gift for anyone who's dear to your heart. Baguette-cut cubic zirconia stones accent this center gem, one on each side, providing colorless glimmer and adding contrast that draws the eye to this ring's main attraction. A gleaming 14K yellow gold band provides a sense of warmth and affection, and adds timeless class. 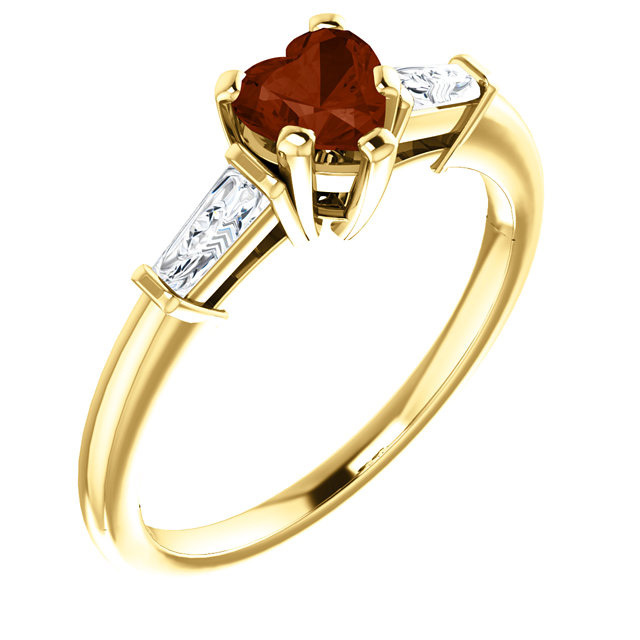 We guarantee our 14K Yellow Gold Heart-Shaped Garnet and Baguette Ring to be high quality, authentic jewelry, as described above.